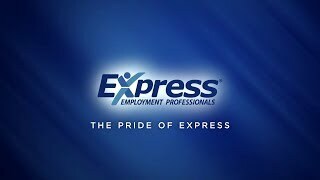 Express Employment Professionals Parsippany is a trusted partner for those searching for employment as well as for employers seeking qualified job candidates. We work with individuals and businesses in Morris and Sussex Counties and in the communities of Fairfield, Hackettstown, Oakland, Wayne, Morristown, and Dover. As a locally owned and operated employment agency, Express Employment Professionals Parsippany is focused on matching qualified candidates with leading companies. Finding qualified candidates to fill open positions is one of the most challenging tasks facing any business. Whether you are an HR Specialist with a large organization or an office manager in a small to medium sized business, finding the right candidate for the job is a top priority. Express Employment Professionals Parsippany is here to partner with you. At Express Employment Professionals Parsippany, we are committed to being an active and engaged partner with the businesses we serve. Our staff professionals will work closely with your team to understand your needs and the type of candidates that will fit best in your organization. We’ll help you find candidates who are skilled, experienced and anxious to fit in with your organizational structure. Our staffing professionals can help you find employees that will be long term contributors to your organization reducing turnover and helping you to build a solid team over the long term. At Express Employment Professionals Parsippany, we have qualified candidates that can fit into positions ranging from Professional, Light Industrial, and Office Services. Looking for a job can be time consuming and stressful. Whether you are looking for a temporary position, an executive level position, or something in between, Express Employment Professionals Parsippany can find the right job for you. With Express Employment Professionals Parsippany behind you, finding the new job you’ve been dreaming of has never been easier. Express Employment Professionals Parsippany is more than just a job placement agency. Our goal is to help you find your next great job and to help you develop your skill set along the way. We offer a wide range of career development services designed to help build your skills in computer software, verbal and written communication, and job safety skills. With a large bank of webinars and white papers at your disposal, you’ll become an even more attractive candidate to businesses looking for new team members. When you choose to partner with Express Employment Professionals Parsippany, you can be confident we are working with your best interest in mind. You never pay a fee for our services. You’ll have the opportunity to interview for a variety of positions and can accept any job assignment offered that you believe is a good fit. You never have to accept an assignment that doesn’t feel right to you. Whether you are looking for full or part time employment, a temporary or contract position, Express Employment Professionals Parsippany can help you find the right job. We invite you to find out why Express Employment Professionals Parsippany is the trusted choice for businesses and job seekers alike. Visit the Contact Us page to find the Northern New Jersey office nearest you.